Design Selections: Where to Splurge or Save? There are many design selections to make during a remodel. What’s worth the investment? Where can you save? Mountainwood Homes’ owners, Robert and Heather Wood, fill us in on what elements of a home project are worth your while and where you can save and still get the desired look. Splurge on countertops that you love. You look at them every day, and it’s a big expense to redo down the road. Counters set the tone of the whole room. A good example is a client’s kitchen we remodeled in Lake Oswego. She loved the slab so much even though it was over budget. It’s her favorite thing about her kitchen remodel, and it literally took our breath away when we saw it in the warehouse. Buy the best quality you can afford; It’s worth it. It’s a big job to pull out and move your furniture twice to re-carpet after two years if you buy poor quality. Make sure the pad is a good one too; it will increase the life of your carpet. I always tell people about lighting fixtures. If the lights are in the correct place and you have the correct quantity, you can change out over and over. 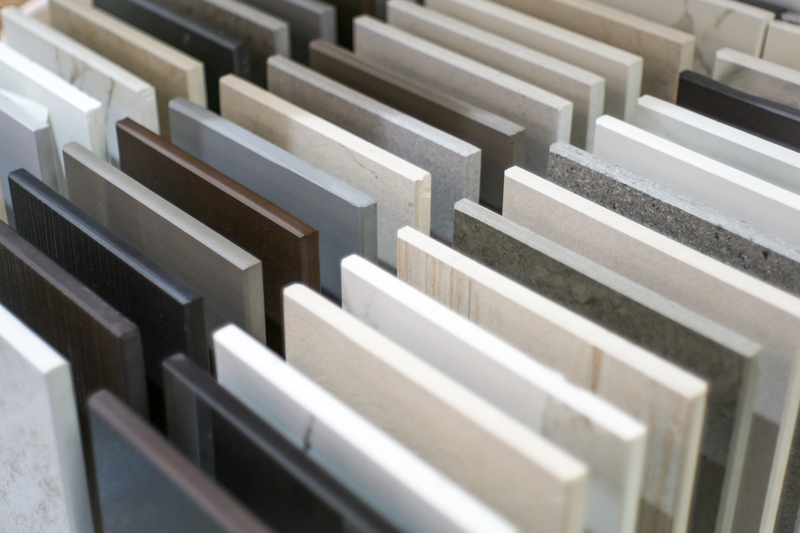 There are so many options out there at a good price that you don’t need to spend a fortune on the field tile. Go with neutral colors that will go with the changing of your decor over the years. Think mauve tiles of the 80’s – a tough project to remove a whole bathroom of tiles. Don’t skimp on windows because you’ll regret it every time you look through them. And they’re more expensive to change later than get what you really want in the first place. Don’t forget to get the heated tile floor. I’ve never had anyone say they wish they’d saved the money, but plenty of folks with cold feet tell me they wish they would have spent the extra money. It’s relatively inexpensive to change wall paint from time to time. It’s an easy way to get a new look with a lot of impact. On the other hand, keep the millwork (trim) paint neutral so it will work with all of your design whims. Painted doors, windows and trim are very timely and costly so keep this the same and it will be the frame to your colorful wall colors.